Although asbestos has been banned in Australia since 2013, its harmful effects on health are still being felt around the country today. In this blog, we look at the history and impacts of mesothelioma – a deadly cancer caused by asbestos exposure – as well as how asbestos exposure occurs, how to avoid it, and the importance of professional testing and removal. Mesothelioma is a type of cancer that develops in the mesothelial cells which line the lungs, abdomen, bowels and heart. It’s only known cause is asbestos exposure. There is no known cure for mesothelioma, however it can be slowed down with treatments such as chemotherapy and, less commonly, pleurectomy (a form of surgery to remove cancerous cells). These treatments can add a few more years to the affected person’s life, however the disease is ultimately fatal. It usually occurs at least ten years after first exposure to asbestos. Asbestos exposure occurs when a person inhales or swallow asbestos fibres which have been emitted into the air. Asbestos was widely used as a building material during the 50s, 60s and 70s, which puts those involved in construction during this period at significant risk of developing mesothelioma. Naturally, those involved in the mining and manufacture of asbestos are also at high risk, including specific occupations such as boiler workers, power plant workers, carpenters, railway workers and naval workers. Family members of workers with high exposure can also experience secondary exposure by inhaling asbestos particles present on the primary person’s clothes or hair. How to avoid asbestos exposure? Even if you never worked in one of the above industries during the specified periods, it’s still possible to be at risk of asbestos exposure. Some older buildings across Melbourne may still contain traces of asbestos, so it’s important to have your home or office professionally tested. Asbestos can be found in building materials including roofing, shingles, guttering and downpipes, fencing, backing materials on tiles and vinyl flooring, piping and heaters and stoves. If anything on your property tests positively for asbestos, it will need to be removed by a licensed asbestos removalist. 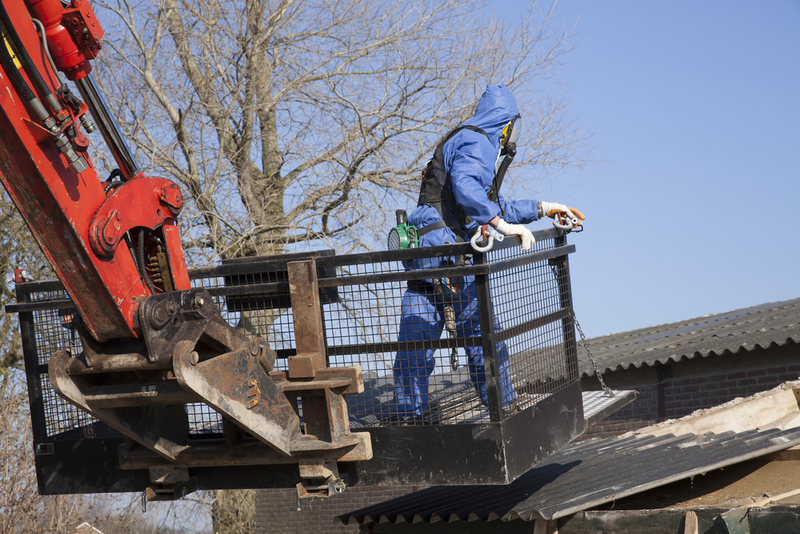 If you suspect there are traces of asbestos on your property, you’ll need to contact professional environmental consultants in Melbourne to conduct a thorough site assessment. Alpha Environmental are fully qualified to conduct asbestos testing in Melbourne, so enquire with us today on (03) 9415 8002.